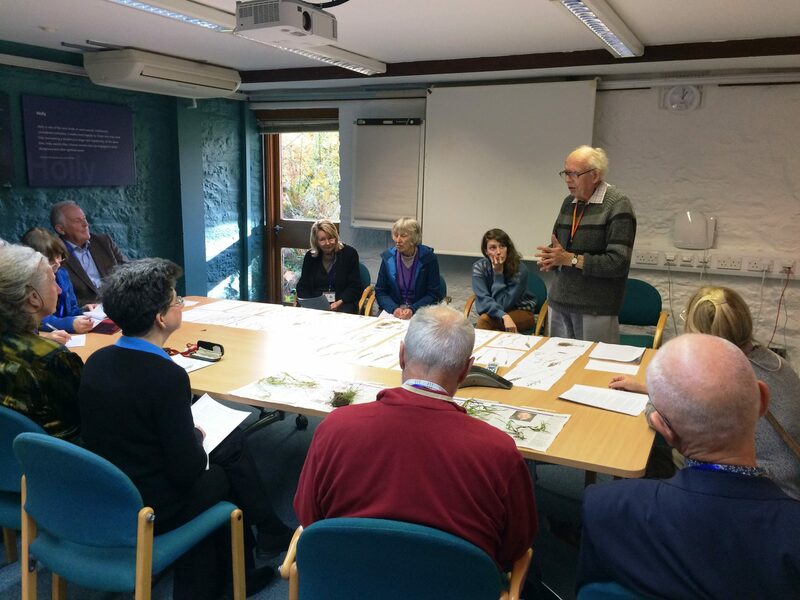 The 2018 Scottish Botanists' Conference - the new name for the Scottish Annual Meeting - took place on Saturday 3rd November at the Royal Botanic Garden Edinburgh. With 175 delegates, it was the largest ever gathering of botanists in Scotland. You can see images from the event, and read comments from the delegates, on Twitter by clicking on the conference hashtag #ScotBotanistsConf. You don't need to have a Twitter account to do this. The Scottish Botanists' Conference featured a fantastic display of botanical exhibits and posters and a full programme of interesting short botanical talks, an Identification Helpdesk, the BSBI Photographic Competition, a pop-up bookshop from Summerfield Books - and a great selection of ID mini-workshops. Click on the link to download a pdf of all the abstracts for the 2018 Scottish Botanists' Conference. Scroll down to see the programme and click on the link to download a pdf of the talk. 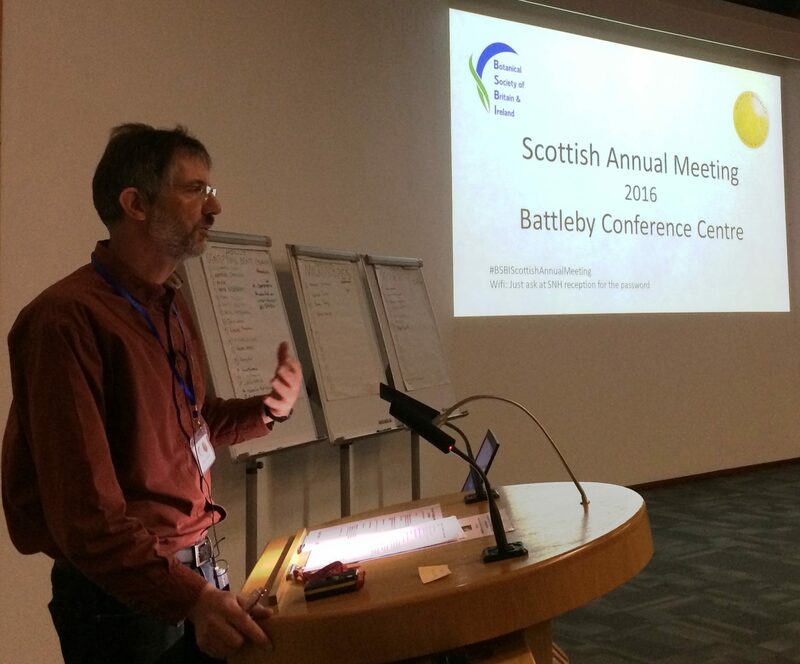 Scottish Botanists' Conference Organiser Jim McIntosh says "Many thanks to joint sponsors BSBI, Royal Botanic Garden Edinburgh and the Botanical Society of Scotland. The 2017 Scottish Annual Meeting was held on Saturday 4th November at the Royal Botanic Garden Edinburgh. We had 151 participate in a packed and exciting day of botanical talks, workshops, exhibits and posters. The programme is given below and you can download pdfs of each presentation by clicking on the link. You can also view abstracts of all the exhibits by downloading this pdf. Just over 110 members enjoyed a packed day of talks, workshops, exhibits and meeting friends at the 2016 event which was held at Battleby Conference Centre, Perth on the 5th of November. The highlight was the main talk on Aliens in the British Flora by Professor Mick Crawley. Mick is a brilliant and very entertaining speaker and introduced us to interesting concepts such as ‘enemy release’ whereby species that have left behind in their native environments most or all of their specialist natural enemies are able to thrive. He observed that some habitats are apparently more easily colonised by aliens than others e.g. waste ground and the built environment, compared with bog and salt marsh for example and concluded that relatively few alien plant species are invasive of semi-natural habitats in Britain. It was amazing to learn that the cost of removal of invasive species at the London Olympic 2012 site was £70 million and concluded that a few alien species are likely to prove to be extremely expensive to control. His talk showed us that studying aliens give us very interesting insights into plant ecology and evolution. You can see a pdf version of Mick’s talk or indeed many of the other Scottish Annual Meetings talks by clicking the links below. The other great highlight of the day was the mini-workshops. 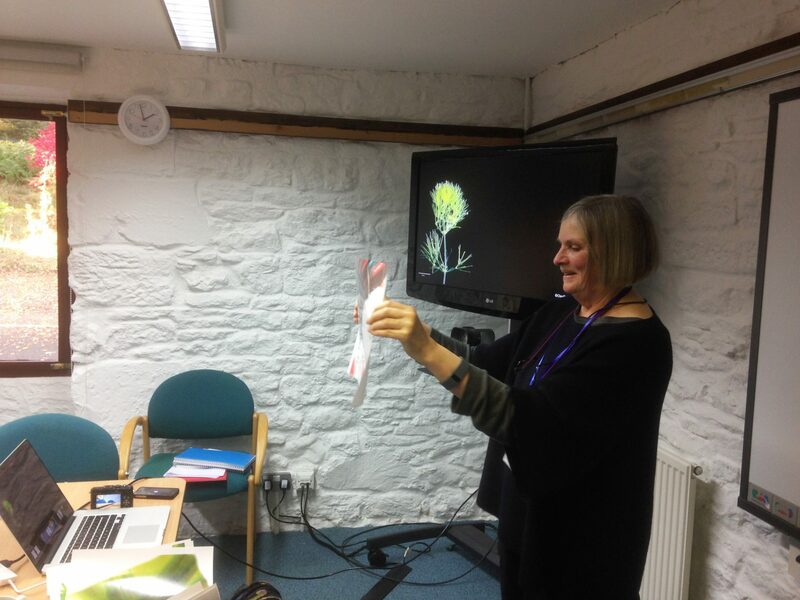 We offered six – two on popular taxonomic problems such as Identifying Agrostis (Arthur Copping) or Distinguishing Scaly Male-fern species (Fred Rumsey); three giving Introductions to Sedges (Chris Metherell), Stoneworts (Claudia Ferguson-Smyth) and microscope techniques (Sandy Edwards) respectively; and one giving members a chance to feedback on the BSBI Review. Handouts are available for some of these - just click the link. Thirty exhibitors mounted a tremendous display of botanical discovery and endeavour across Scotland and further afield. Read the Abstracts summarising their exhibits. The day closed with the announcement of the winners of the BSBI Photographic Competition and then dinner together before we all headed home. 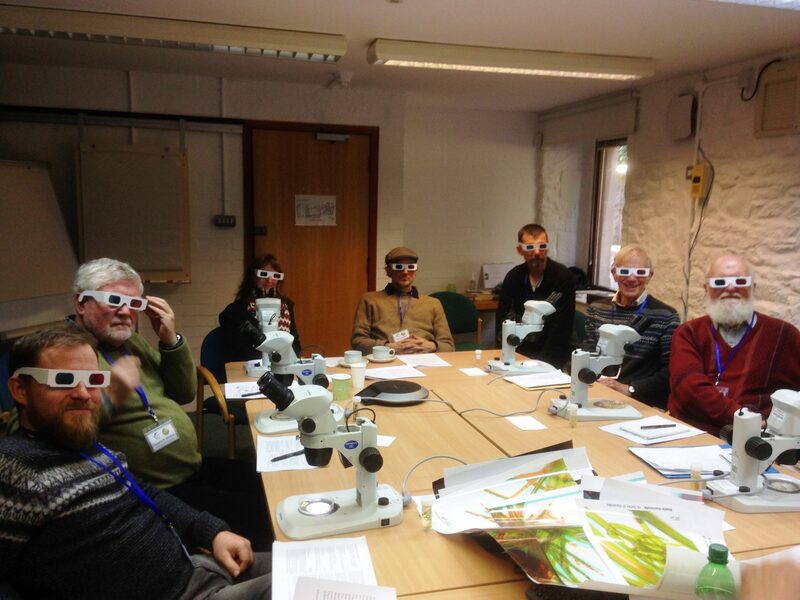 A thoroughly enjoyable day for Scottish botanists and their guests from further afield.